Dr. Jason Mars is co-founder and CEO of Clinc, the company that created the most advanced conversational A.I. platform in the world. Recently recognized as one of the ten most innovative CEOs in banking by Bank Innovation, he is also a professor of computer science at the University of Michigan where he directs Clarity Lab, one of the best places in the world to be trained in A.I. and system design. He is an active part of the IBM Watson Conversational System Research Center and participates in ongoing collaborative research with Intel and the National Science Foundation. 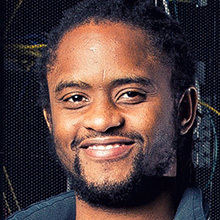 Jason has devoted his career to solving difficult real-world problems with A.I., computer vision, and natural language processing at scale. Prior to University of Michigan, Jason was a professor at the University of California San Diego. He also worked at Google, Intel and IBM. Jason’s work building the world’s first open-source platform for constructing large-scale A.I. and deep learning-based Intelligent Personal Assistants (IPAs) has been recognized globally and continues to have a significant impact on industry and academia. Jason holds a PhD in computer science from University of Virginia.